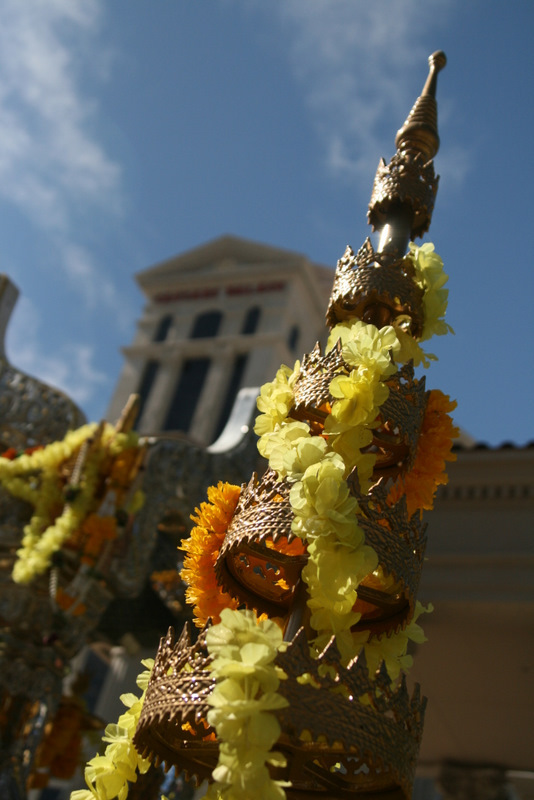 Located just off of Las Vegas Boulevard, outside of Caesars Palace, is a replica of one of Thailand’s most popular shrines, the Brahma Shrine. The replica was a gift given to the Palace in 1983 by a Thai newspaper and Hong Kong High Roller. Many people come each year to provide offerings in order to hope for good fortune. It seemed odd to have this shrine there, but upon reading more about its history, it makes a bit more sense. Interesting part of the Roman Plaza!